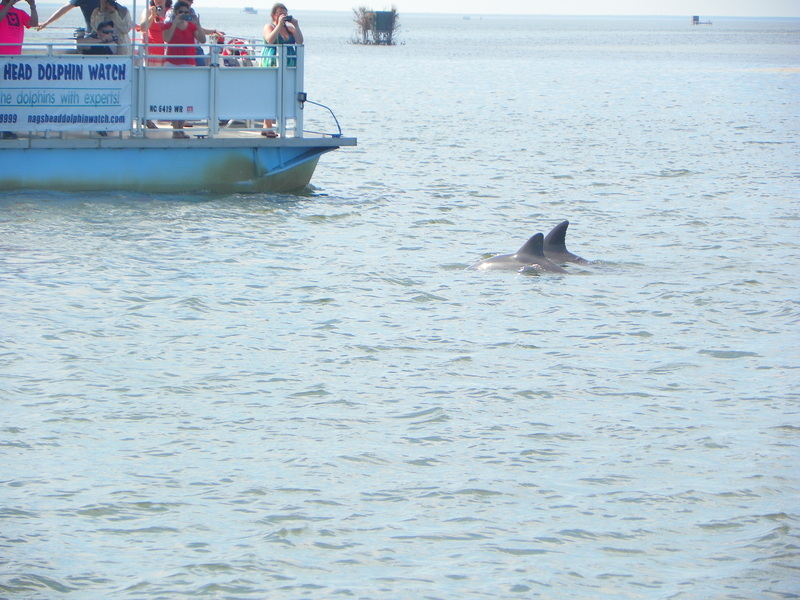 Another thing we do every time we are in the Outer Banks is a dolphin cruise. We take our cruise with the same company every time. 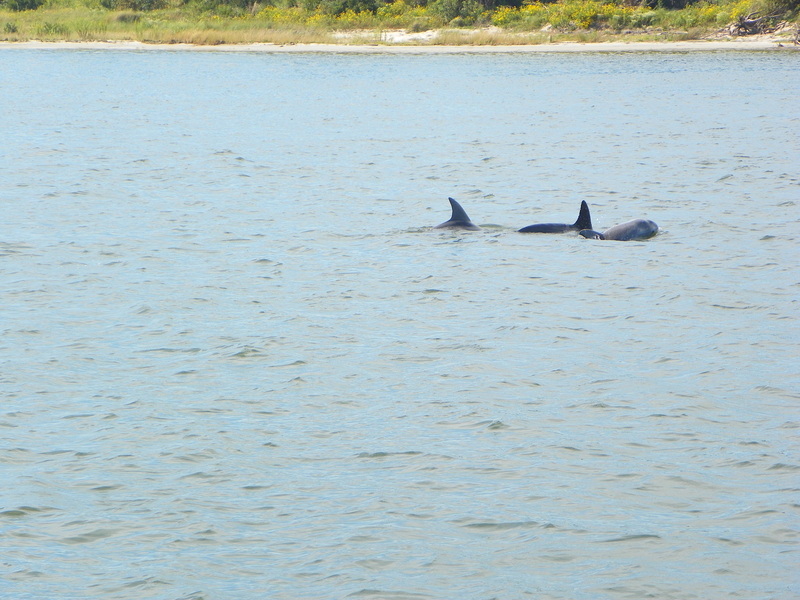 We saw a group of dolphins and they were putting on quite a show. Plus the day we went was a beautiful day to be out on the water. 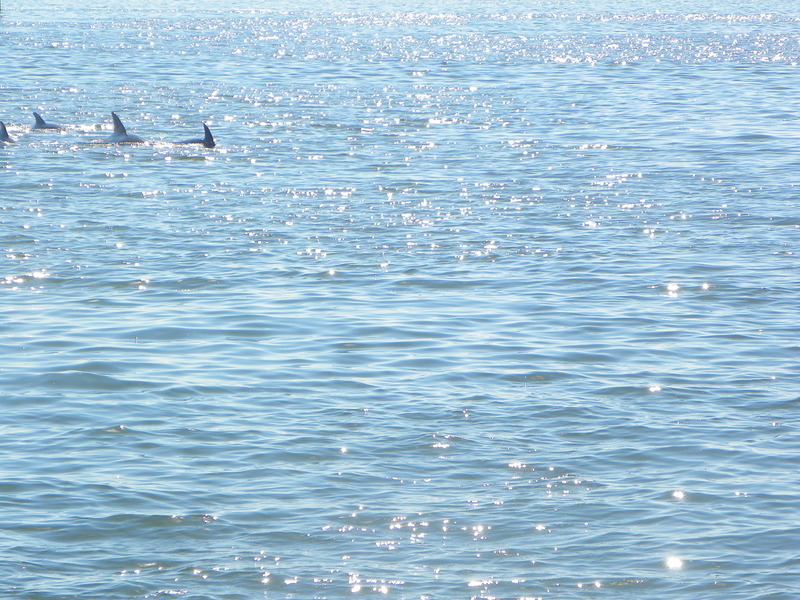 We also saw dolphins in the ocean from the house we were staying in but its different on the cruise, they are closer and you can see them better. Now they are hard to capture with the camera but they are fun to watch. 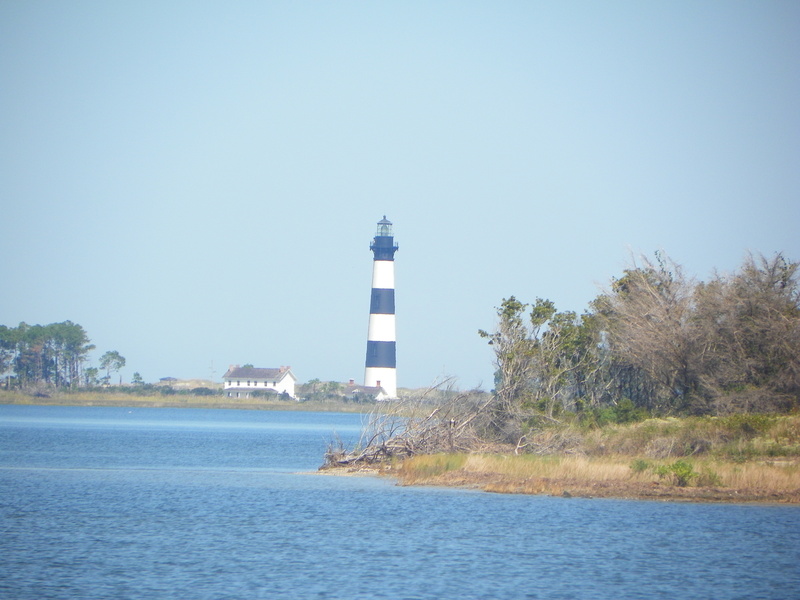 Plus we get to see one of the lighthouses from the boat.